This past weekend, The Duo made their way to Anaheim Convention Center to enjoy the 2017 D23 Expo! 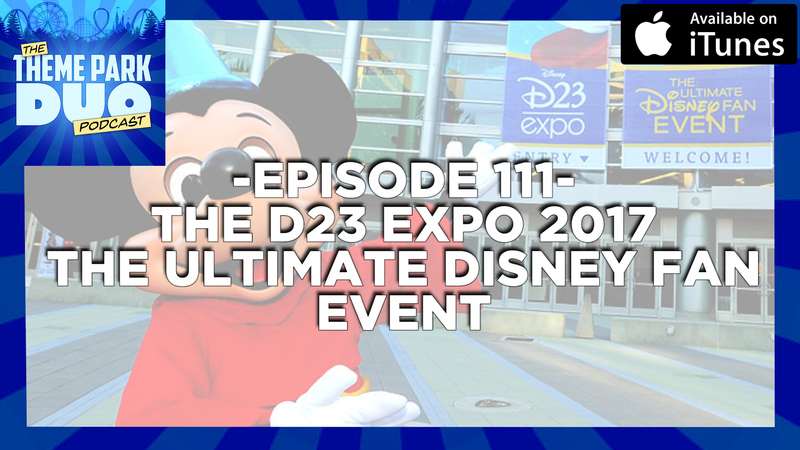 The D23 Expo is the one stop shop for all things Disney for all the Disney fans. Whether its cartoons on Disney XD or Theme Parks, D23 has you covered. We spent the entire weekend at D23 and wanted to share our adventures with everyone! You will hear us talk about the different panels we attended, who we met, who we saw and what our over all thoughts were on the Expo itself. It was a long and tiring weekend but we wouldn’t change it for the world. Stay tuned because this episode promises to be a Disney packed episode!